Looking for saddle information? Below is all kinds of information about saddle trees, saddle riggings, signs of bad saddle fit, how to stop saddle squeak, and a whole lot more! The experts at HorseSaddleShop.com have a wealth of information about saddles on their website. Below are few links to some of their articles with useful and interesting information. MORE! See HorseSaddleShop’s page with all of their Western saddle articles and information. If you enjoyed the above articles, we hope you’ll also enjoy the popular articles below from our “How To / What Is” area of CowboyWay.com! 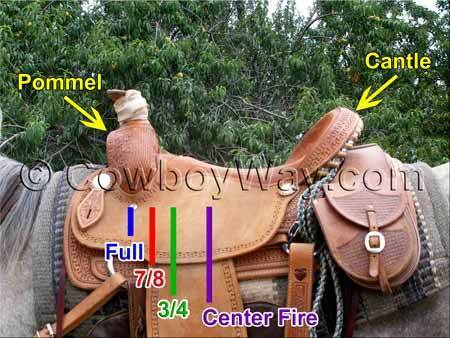 Below are a few quick graphics illustrating different kinds of saddle information. Full Rigging: The front cinch position is the full distance from the cantle to the pommel. 7/8 Rigging: The front cinch position is 7/8 of the distance from the cantle to the pommel. 3/4 Rigging: The front cinch position is 3/4 of the distance from the cantle to the pommel. These rigging positions are illustrated in the image below. For even information about Western saddle rigging positions, you can see this page: Understanding Saddle Riggings. 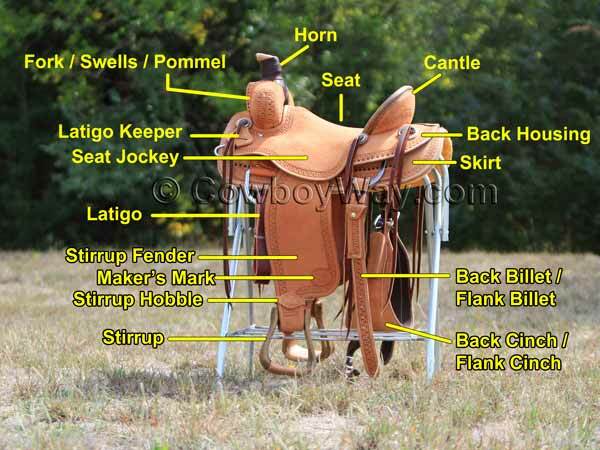 Below are the major parts of a Western saddle. Parts of a Western saddle. The above image is of a brand new, never-been-on-a-horse saddle which makes some of the parts a bit difficult to get a good look at. So, we’ve included the image below too, so you can get a better look at some of these parts they way they would look on a saddled horse. 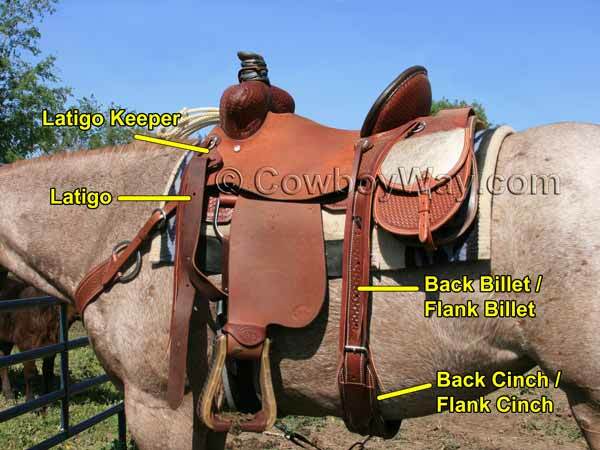 A few details on Western saddle parts.